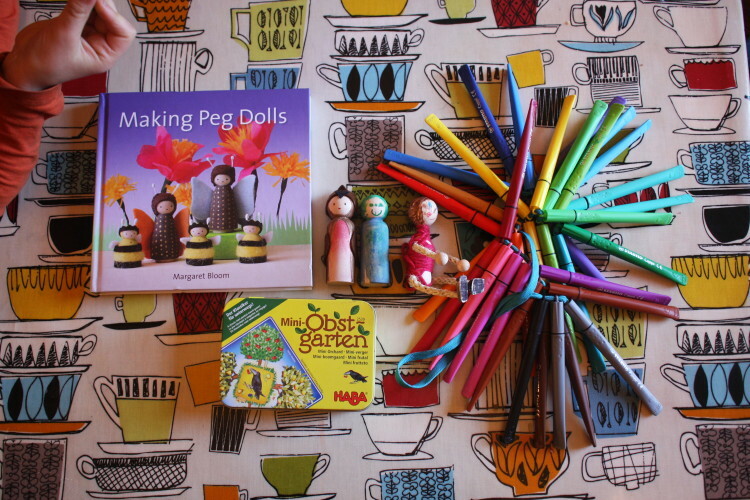 – With the launch of her second book, I felt compelled to pull out Margaret Bloom‘s Making Peg Dolls, and pull out my precious collection of wood peg dolls I had brought over from the US by my father-in-law. We gobbled up the 25 dolls in two sessions. Luckily they are more widely available over here now, but I could easily spend way too much money on more. And I have plans for Easter that I probably should get started on as soon as this season of birthdays calms down. – TV-wise I just finished watching Galavant, which was delightful. Who doesn’t love watching Magnitude from Community and Hugh Bonneville doing dance routines and singing about being land locked pirates? – On Saturday I turn 37 (though I’m not very happy about it tbh.) so there will be a flash sale at the shop for 24 hours. But I’ll post more about that later.